Former Queensland jockey Skye Bogenhuber is now riding for the Brett Cavanough stable and will be based at Scone from 1 August 2018. 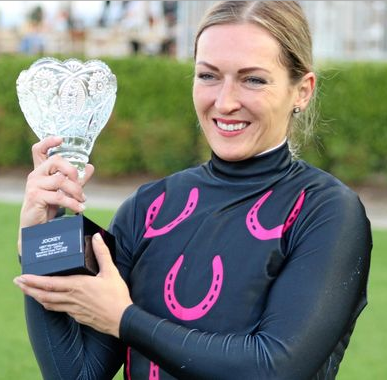 Skye has ridden 542 winners, the most recent being Sacred Rebel ($21) in the final race at Sunshine Coast last Saturday, a late pick-up ride from the Chris Waller stable. Skye's latest feature winner was The Monstar in the Moreton Cup at Sunshine Coast on 2 June. She is relocating from Toowoomba and will be booking her own race rides on 0432 790 200.